Organic cabernet franc from the heart of the Loire. 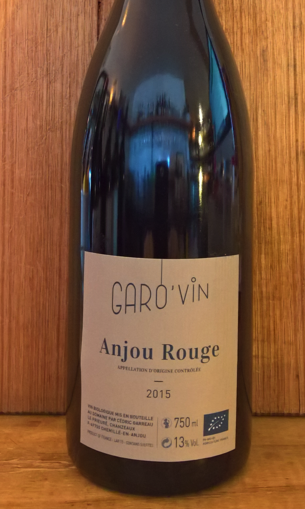 The Anjou Rouge is delicious, true to the terroir, worth aging for a few years, t’s got the typical earthiness of Cabernet Franc , with solid tannins that create a structural frame for the fruit. 100% Cabernet Franc, 30% of the vines are 25 years old, 70% 80 years old. Grown on a 1 hectare parcel with shale soil, around Rablay-sur-Layon. 3 weeks of maceration, aged 1 year in barrel. Production: 4,000 bottles/year.